With his fourth EP, the Berlin based "I am Frost" now delivers his first work on Tach & Nacht. 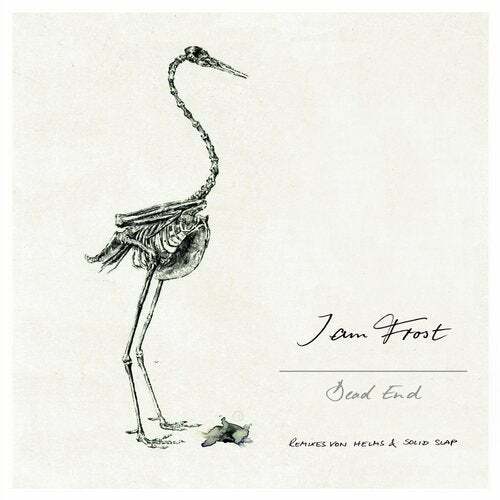 Since 2005 working as a DJ, Ren Frost launched his live project as "I am Frost" in 2013. In the same year, he released his debut EP incl. Robin Schulz Remix, followed by two more EPs and many other releases on different labels. "Dead End" thereby is anything else than a dead end - with its frisky style, deep baselines and impulsives claps, each track is not only the essence for the dancefloor, but also suits for other different groovy situations. The EP, consisting of 2 original tracks, is topped with two individual remixes: one from "Helms", a solo project from one part of "UMAMI", and "Solid Slap", which are part of Tach & Nacht since the early beginning. The interpretations of the remixers thereby contributes their own part to a musically coherent journey, which does not want to end.